Andy Birkett realised a lifelong dream by winning the Men's K1 title at the ICF Canoe Marathon World Championships in Portugal. 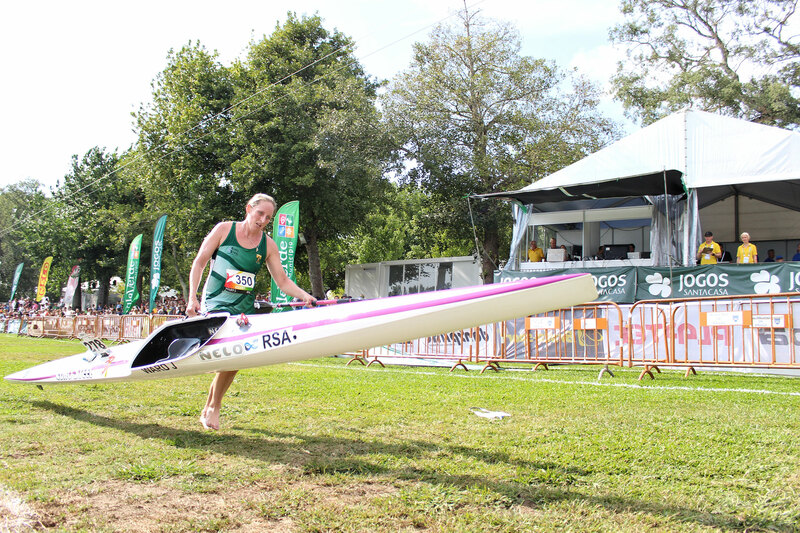 The multiple Dusi champ took full control of the 30km eight lap race against a very strong field, and raced a tactically astute team race with compatriot Jasper Mocké, and went into the final 1000 metre lap in a three-way tussle with Hungarian ace Adrian Boros. Taking a leaf out of the outgoing world champ Hank McGregor's book, Birkett ran the last portage hard, put in first and never looked like relinquishing his grip on the race. The Euro Steel speedster won impressively while Boros had enough energy left to edge Mocké into the bronze medal position. "It was great racing. Well done to my team mate Jasper Mocké on his third place," said an elated Birkett, who credited the win to his twelve-week-old son David. "There is so much depth in the men's singles. If the pace slows down the guys will always catch you, and you never really know who will be strong on the day. "I don't know if it panned out quite how I thought, with the guys racing around me, but it was tough racing, like it always is. "This is something that I have been trying to do for a long time, so I am super stoked," he added . In the women's K1 race Bridgitte Hartley and Jenna Ward stayed with a nine boat break early on in the seven lap affair, but once the Hungarians Sara Mihalik and Vanda Kisli started to up the ante they were dropped off the front. By halfway Ward was driving the fight back of the chasing bunch relentlessly, and Hartley became a victim of that desperate surging, and she fell back out of contention. Kisli, who was Ward's partner in the last FNB Dusi Canoe Marathon K2 race, went on to win her maiden world marathon champs K1 title impressively from her compatriot Mihalik, with Spaniard Barrios third. Ward ended up finishing a solid seventh in the end, with Hartley, who was stranded between the second and thirds groups for much of the remainder of the contest, finishing 12th. 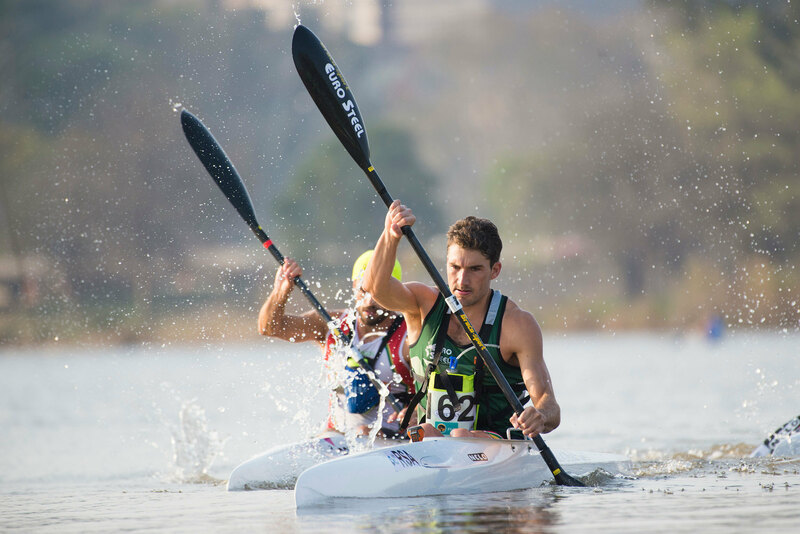 Sundays programme sees South African paddlers taking on the Men's K2 and the Women's K2 races.